The primeval history of Genesis 1-11 ends with two genealogies and an excursion to the tower of Babel (another Sunday School staple). 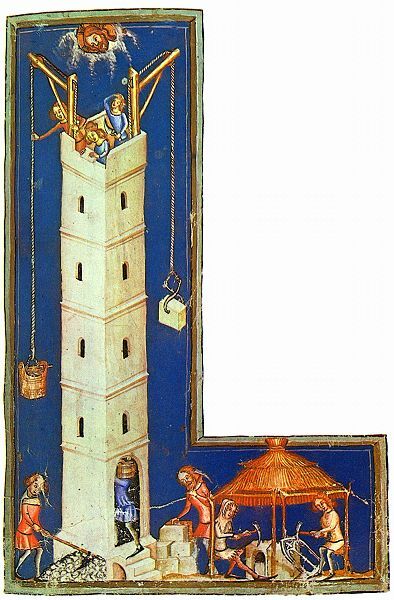 We’ve discussed the Tower of Babel before in posts Babel in Ancient Context where John Walton’s commentaries were considered and then Babel as Ideological Critique based on J. Richard Middleton’s reading of the story. Both Tremper Longman and Bill Arnold focus on the story as part of the repeating theme of sin, judgement, and grace in the major passages of Genesis 1-11. 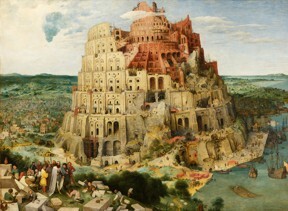 The Tower of Babel (2242 BC according to Bishop Ussher) is a tale that defies a literal reading. At least today it defies a literal reading. When the world seemed “small” and confined to a bubble around one location, with with fuzzy ideas of what might (or might not) lie just outside the known … then it was possible to conceive of but one language until ca. 4200 years ago followed by diaspora populating the earth. But this simply doesn’t match the evidence. Among other things the idea of one language until just before Abraham, with the settling of Egypt after Babel, strains credulity. Although it is difficult to pinpoint the origin of language as words without artifacts leaves not evidence, written language provides enough evidence. The oldest ancient Egyptian hieroglyphs date to something like 5000 years ago, a little more recent than Sumerian cuneiform which originated something like 5500 years ago, and there is little likelihood these very early written languages represent similar spoken languages. In fact, there is some evidence that a written Chinese language may have also developed some 5000 years ago, possibly more, and this language certainly wasn’t similar to Sumerian or Egyptian. This, along with a well documented and much earlier dispersion of human population, is enough to set aside the literal reading as the global origin of languages. The Babel story is flanked by two genealogies. The first, in chapter 10, is often referred to as the table of nations. All three of the commentaries considered here, Tremper Longman III (Genesis in the Story of God Bible Commentary), John Walton (The NIV Application Commentary Genesis), and Bill Arnold (Genesis (New Cambridge Bible Commentary)), consider the Babel story to be a chronological precursor to the table of nations. This is significant in the more conservative (i.e. literal-local) reading of John Walton as well as the reading of Bill Arnold. Perhaps as the table of nations provides a political map of relationships for the known world at the time of Moses (or later), the story of Babel is an excursus to place the confusion of peoples and tongues into theological context. Arnold is more definite. 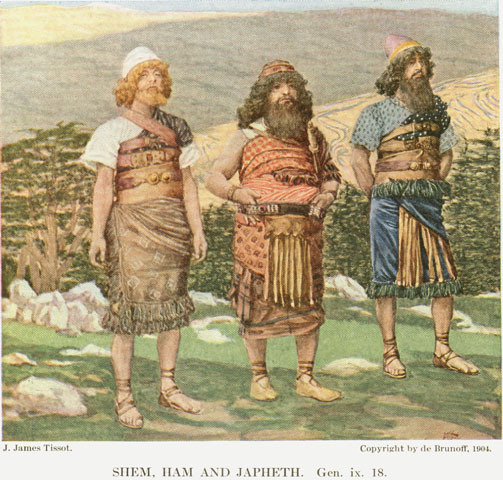 This is a stylized literary structure to connect Abraham, Isaac and Jacob to Noah and to Adam. In particular, this genealogy serves to conclude the primeval history before beginning the story of the patriarchs and the founding of Israel. The next post on Genesis will look in more detail at the theology and purpose of the primeval history of Genesis 2-11 as a whole. In the process I’ll bring a new book and perspective into the mix, Walter Moberly’s The Theology of the Book of Genesis (Old Testament Theology). You may comment here or on Of Nations and Languages at Jesus Creed. This entry was posted in Bible, Genesis and tagged Bill Arnold, John Walton, Tremper Longman III. Bookmark the permalink.